World's fastest Supercomputer runs Ubuntu! Tianhe-2 is a 33.86 petaflops supercomputer, dubbed as the world's fastest supercomputer, located in Sun Yat-sen University, Guangzhou, China. 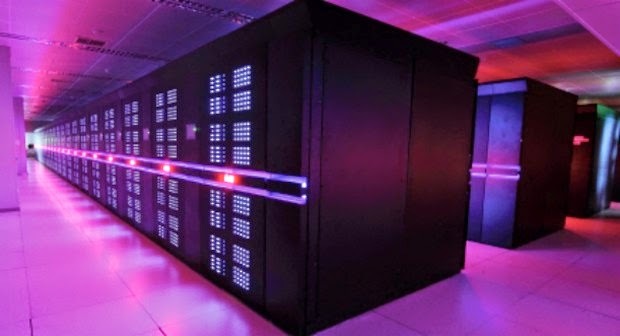 Tianhe-2 or TH-2 is the world's fastest supercomputer according to the TOP500 list, a project that ranks and details the 500 most powerful (non-distributed) computer systems in the world. During his keynote speech at OpenStack Summit, Mark Shuttleworth has revealed that the world's fastest supercomputer indeed runs Ubuntu in the form of Ubuntu Kylin. Kylin OS was originally based on FreeBSD, but started using Linux Kernel later on. Ubuntu Kylin is now an official Ubuntu flavour even. More info here [PDF].